All homes currently listed for sale in the zip code 90008 as of 04/18/2019 are shown below. You can change the search criteria at any time by pressing the 'Change Search' button below. "With prominent curb appeal, 4144 Kenway is an architectural expression of modern day elegance with a sophisticated charm. This 6 bed/ 5 bath Aaron Kuhl Design home emanates light & exceptional privacy. Upon entry, one is welcomed by an open floor plan consisting of an expansive living room featuring a Napoleon 62 dual glass gas fireplace w/LED lights & a stunning family room. Wide planked engineered cerused flooring flows throughout the home. Gourmet kitchen is a chef's dream w/ European style cabinetry, leather finished marble countertops, island prep sink, & Bertazoni 36 gas range. Sprawling master suite features a connected bathroom w/ dual floating white gloss vanities, soaking tub & imported tile from Italy. The exterior is equally as impressive w/ a brand new pool & spa as well as a custom outdoor fire pit ideal for entertaining & attached 3-car garage w/ custom black & white laminate glass doors. Designating a class of its own, this remarkable modern home awaits your arrival!" "A spectacular trophy house just turned 10 years old, built in 2009. Grand entrance hall with spiral staircase. Spacious master bedroom, kitchen and large balcony gives views. Four bedrooms have balconies and three with views. Attached dual garages give a total of three covered parking spaces. About four or five miles distance to LAX, Beverly Hills and downtown. All reasonable offers will be considered." 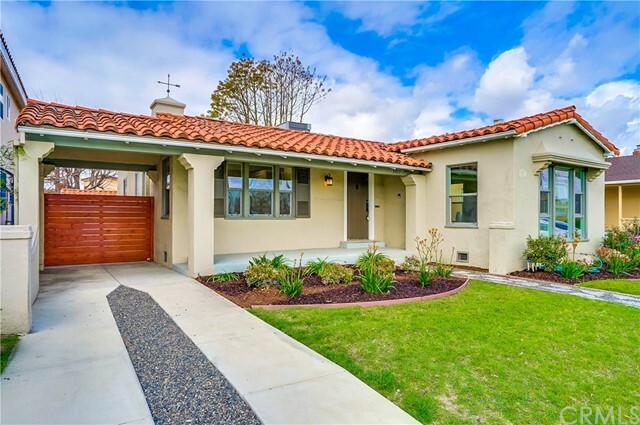 "Mid-Century VIEW home with a semi-circular driveway located in highly sought after Baldwin Vista! This 3BR, 2BA home has stunning views of nearly all of the LA basin; Downtown LA from the front yard, Century City & West Hollywood Hills from the backyard. This home, with more than 2,150 sqft of living space, boasts a living room w/hardwood floors, a wood burning fireplace that opens to the dining area. The kitchen has ample cabinets, eat-in area and beamed ceiling. The master bedroom has a walk-in closet, en suite with a spa tub & a steam shower. The 2nd bedroom is nice sized, with a vanity dressing area and its own entrance to the hallway bathroom. The 3rd bedroom has a wood burning brick fireplace, built-in shelves and a slider to the backyard. The open gravel and concrete backyard is a canvas for you to create your own oasis to enjoy the spectacular VIEW! The cabana feel covered patio area has an above ground hot tub & swing. This home waiting for you. Come be the newest neighbor!" "Rare opportunity to own one of the best view properties in all of Los Angeles. Situated on a street to street lot at the top of coveted Baldwin Vista, this home looks out upon vistas that stretch from The Getty Museum all the way to DTLA and the mountains beyond. The style is classic mid-century ranch, well laid-out, with views from practically every room. There is a terraza entryway, a step down living room, a large kitchen, a family room anchored by an impressive rock fireplace, a sizable walk-in closet in the master bedroom and a 3-car attached garage. Occupied by the same owner for decades, this home has been well loved and is ready for the next owner's creativity. Steps away from Kenneth Hahn State Park's hiking trails and close to the Expo Line, upcoming Crenshaw/LAX line and the soon-to-be redeveloped Baldwin Hills Mall. Prepare to be blown away." "Welcome home to View Park on HomeAway Drive, a remodeled Mediterranean Stucco boasting 4 bedrooms and 4 baths. This home exudes soulful charm and fluidity amongst its many living spaces with authentic finishes, rich hardwood, and marble floors. All the bathrooms have been updated with a designer's touch.The Chef's spacious and modern kitchen is complete with Convection double ovens, D cor 6 burner stove with warming racks and lights, Bosch dishwasher, Kohler faucets, quartz countertops, and soft close cabinets with dovetail drawers, featuring top-of-the-line stainless steel appliances, center island with seating and a built-in breakfast area. Luminous recessed lights throughout and Surround Sound wiring in the family room. Its lovely architectural details also include fireplaces in the master bedroom and family room. The outdoor living space is an entertainers dream. As you walk through the various living spaces you understand elegant and cozy are not mutually exclusive!" "Stunning single story home located above La Brea Blvd in the highly sought after neighborhood of Baldwin Hills. This property sits on a large lot with breathtaking, unobstructed city views. Home has an open floor plan with 3 spacious bedrooms and 2.5 bathrooms. Master bedroom has french doors that open up to the backyard. The kitchen has a built in Jenn Air refrigerator, dishwasher, microwave, stove top and wine fridge. Counter tops are ccarrera marble with self closing cabinets throughout. Kitchen is open to the living room and dining room and looks out to the backyard and view. Family room has fire place and built in bar equipped with mini fridge and sink. Custom bifolding doors open the rear view wall leading you to the backyard. Backyard has a pool and spa with a custom bbq area and tempered 82ft glass view fence. Bbq area has Sedona by Lynx appliances; bbq, fridge, gas stove top, sink and pizza oven. The views are panoramic and unobstructed overlooking the heart of LA. Home is conveniently located blocks away from Culver City, minutes away from the Sunset Strip and Beverly Hills and nearby shopping and freeways." "WELCOME TO THIS EXCEPTIONAL HOME! ABSOLUTELY GORGEOUS 2 STY COLONIAL STYLE HOME. NESTLED ON A LOVELY TREE LINED STREET IN THE HEART OF HISTORIC LEIMERT PARK. WALKING DISTANCE TO THE NEW KAISER PERMANENTE, BALDWIN HILLS MALL, NEW RAIL LINES AND 2 LOCAL SCHOOLS. THIS CROWN JEWEL HAS BEEN IMPECCABLY RENOVATED AND IS TURN KEY. IN THE LIVING ROOM IS THE ORIGINAL FIREPLACE FOR CHILLY EVENINGS. IT HAS ORIGINAL BAY WINDOWS, FRENCH DOORS THROUGHOUT AND IS DRENCHED WITH BEAUTIFUL NATURAL SUNLIGHT. THE KITCHEN IS A CHEF'S DELIGHT WITH A 6 BURNER VIKING STOVE, COMPLETE WITH A CENTER GRILL. BEAUTIFUL MARBLE ISLAND, 2 DISHWASHERS, LOTS OF CABINETS, & A WALK-IN PANTRY. FACING THE REAR OF THE HOME ARE FRENCH DOORS, THAT EXPOSE YOU TO THE SECLUDED ENGLISH GARDEN. THE MASTER BEDROOM IS EVERY WOMAN'S DREAM CLOSET AND MASTER BATHROOM. THIS FABULOUS HOME IS TRULY AN ENTERTAINER'S DELIGHT. THIS IS A MUST SEE. CALL NOW!" "This wonderful 3 Bed 2 Bath home in Baldwin Vista awaits... With beautiful curb appeal and twinkling City lights, plus a rear yard with great possibilities... Just what you've been looking for... Please DO NOT Disturb Occupants... Contact LA 1 for more details..."
"Are you looking for serenity? Welcome to your Mid-Century home in Baldwin Hills located in a cul de sac. Enter into the foyer featuring a rich slate floor & adjacent powder bath. This lovely 3 BR, 3 BA home features a master suite, custom closets & upgraded en suite. 2 spacious bedrooms are joined by an upgraded Jack & Jill bath. Semi open floor plan is a wonderful blend of sophistication & comfort - perfect for today's living. Double-sided stone fireplace separate the LR & FR features original hardwoods throughout w/natural light from the wall of glass sliders. Upgraded kitchen comes fully loaded w/quartz countertops, appliances, cabinetry w/ample storage & recessed lighting. Kitchen segways into a sunny breakfast area that overlooks the backyard. The laundry room comes equipped w/washer/dryer & pantry. Step outside & relax on the upgraded paver patio/outdoor space w/dramatic canyon & tree top views. Direct access entry from the attached 2 car garage, has home security system & HVAC." "A truly one of a kind home with a large house and amazing unobstructed over 180 degree view of the city spanning from the new soccer stadium to the Getty center including views of snow capped mountains, downtown L.A., Getty Center, Griffith Observatory, Century City and much more. The home boasts lots of natural light, great air flow and a spacious interior that's looking for the new owner to bring their vision to. Spacious master suite has views of the city, walk in closet and large master bath. This home is perfect for an owner user or an investor, the home needs TLC on the inside and is ready for someone to bring their vision to it and make it their own. The property is located just up the hill from silicon beach, and is just a quick drive to the beach and major freeways." "Great opportunity! Built-in 1954 - 2Bd and 2 Bath. Close to 10 Freeway." "Spectacular Baldwin Hills View Home!!!! !Hugh deck for outdoor entertaining, updated kitchen and Baths , hardwood and marble floors.Resort like living everyday!Bring your fussy buyers!!!" "Perched up on a knoll in one of the most sought-after communities--Baldwin Hills! This spacious, 2-story Traditional home has 3 bedrooms, 3 baths and a den (which could be used as 4th bedroom/ with closet). The formal entry segues into a generous-sized living room with picture window and wood burning fireplace, bringing timeless character into focus. Enjoy delicious dinners in the dining room with sliding glass doors looking onto the city and back yard area. The kitchen has a cozy breakfast nook and comes equipped with a Viking stove, granite counter tops and loads of cabinets. Step out back to a covered patio area and yard with a rock water fall feature, mature lemon and orange trees, and views of downtown. Home has solar panels. HVAC. Two car garage with direct entry. This is a great opportunity to create a lifetime of memories in this special home. Don't miss out." 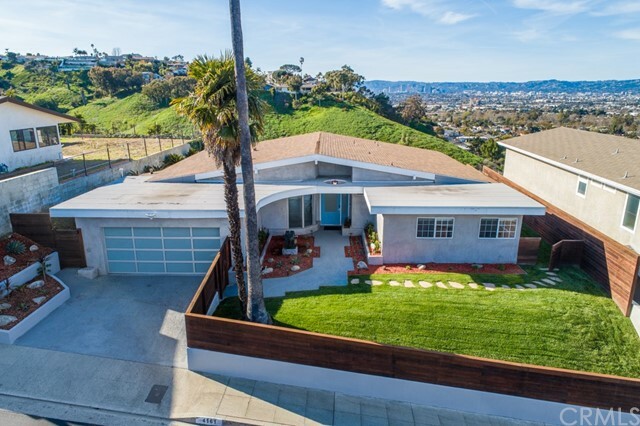 "Hip Mid-Century home in Baldwin Hills Estates with gorgeous views of DTLA and the mountains beyond. The living room faces out to the downtown skyline and is anchored by a dramatic, period fireplace. There are hardwood floors throughout the home. Lovingly maintained by its owners, all systems have all been updated including newer windows, electrical system, plumbing and roof. Situated up on the hill, the wrap around yard is totally enclosed and safe for the babies - both furry and human. All of this in one of L.A.'s hottest neighborhoods; close to the Expo Line, Kenneth Hahn State Park hiking trails & poised to benefit from many nearby development projects including the re-development of the Baldwin Hills Crenshaw Plaza, the Crenshaw Metro Line and the construction of the LA Rams Stadium." "Turn your dreams into reality in this 3bd/3ba designer dwelling by Mini Inno on a picturesque tree-lined Leimert Park street! A fireplace w/ a concrete hearth + built-in bench seating in the picture window adorn the welcoming living space. The seamless flow from living to dining is highlighted by new recessed lights + fixtures and wide white oak floors. 2-tone custom kitchen cabinets are accented by stone counters, brass CB2 pulls and SS Samsung appl. A junior + master suite both feat. en-suite baths and access to the backyard. Each bathroom enjoys eclectic mixes of designer light fixtures, custom vanities w/ stone counters and marble + cement tile floors. Find your happy place as you soak in the freestanding master bath. Create the life you've always dreamt of, enjoying conversations under the stars around the built-in fire pit in the garden. Close to new metro and only 20 min to DTLA + SM. With new systems throughout and no expense spared, there's nothing left for you to do but LIVE!" "**REDUCED** Beautiful spacious home nestled in the hillside of Baldwin Vista. This Cape Cod style home was extensively rebuilt from the foundation up. With an abundance of natural light, the living room and dining area offers fantastic city views. The Luxurious eat-in kitchen comes with marble counter tops, a pantry, with an ample amount of storage space. The private master suite has a bathroom and a large walk-in closet. This home is perfect for relaxing and entertaining. Walking distance to Expo Line, beautiful parks, hiking trails and schools." "Live in or Income property in Historic Leimert Park dubbed LA's hottest neighborhood was home to Ella Fitzgerald, Ray Charles and former Mayor Tom Bradley. Live in the true boundaries of Leimert Park a cultural mecca, easy access to downtown, USC, Hollywood, Beverly Hills and Culver City. Nearby blues & jazz clubs and cultural events. Centralized area within minutes of dining and shopping. Quiet street nestled in this historical treasure. Enjoy this breathtaking, upscale home with the finest chef's kitchen featuring 6 burner stove, sub-zero refrigerator, granite counters and high-top eat-in area streaming with natural bright light. Retreat in designer-style master suite with spa tub, stain resistant glass, dual sinks. Storage galore. Bed/bath on 1st level perfect for guests or lease out. Designer-style bathrooms are impeccable. Large yard with gated area for dog run is perfect for BBQs. #leimertpark #rams #uschomes #crenshaw #rodeo #investors #incomeproperty"
"DARLING, GEM IN HISTORIC/DESIRABLE /SERENE **LEIMERT PARK** 3BD,1.5 BA, w/sunroom, orig. crown molding, orig. pristine, hardwood floors, BRIGHT, spacious living rm w/ fireplace & bay window, exquisite formal dining rm w/ panel molding, upgraded kitch cabinets, granite counter, bkft nook, 5yrs new voice controlled central air & heat. 200 amp. Backyard patio, lush PRIVACY trees. Keyless locks, Walk to upcoming Crenshaw/LAX Metro line; centrally located to Sta Monica, USC/ LA Coliseum, DWNTN ent. & museums. Neighborhoods: Leimert Park Equipment: Garage Door Opener Other Fees: 0 Sewer: Public Sewer Topography: LL"
"AWESOME ORIGINAL 3+2 SPANISH HOME, RE-IMAGINED WITH MODERN VINTAGE FINISHES THROUGHOUT. ALMOST 1600 SQFT. FEATURES AN AMZING LIGHT FILLED OPEN AND AIRY FLOORPLAN. INCREDIBLE ORIGINAL DETAIL IN THE LIVING ROOM AND FORMAL DINING ROOM INCLUDING GORGEOUS NEW FLOORING. THE GOURMET KITCHEN INCLUDES CUSTOM GREY SHAKER CABINETRY, GORGEOUS WHITE QUARTZ COUNTERS, STAINLESS SAMSUNG APPLIANCES, AND A BREAKFAST NOOK. THE LARGE MASTER SUITE FEATURES A LARGE MASTER BATHROOM WITH GREY SHAKER CABINETRY, AWESOME VINTAGE INSPIRED TILE FLOORS, QUARTZ COUNTERS, AND CHROME ACCENTS THROUGHOUT. ADDITIONAL BEDROOMS ARE LIGHT AND BRIGHT. UPGRADES INCLUDE ALL NEW WINDOWS AND HARDWARE, ALL NEW INTERIOR DOORS AND HARDWARE, NEW TANKLESS WATER HEATER, NEW ELECTRICAL PANEL, UPDATED COPPER PLUMBING AND ELECTRICAL WIRING AND MUCH MORE. WONDERFUL NEIGHBORHOOD. CLOSE TO ALL LOCAL AMENITIES." "Leimert Park Spanish-Style Beauty has been completely remodeled, while still holding original charming features. Open floor plan consists of spacious living room with decorative fireplace, dining room with original built-in cabinetry , and tastefully remodeled kitchen with Quartz counter tops, beautiful marble back splash, self-closing drawers and cabinets, pantry, skylight, and stainless steel appliances. 3 bedrooms/ 3 bathrooms include Two Master Bedrooms with private bathrooms, and a 3rd bedroom with a walk-in closet. Main bathroom offers marble counter tops. Resurfaced original hardwood floors flow throughout the home. Newer windows, recessed lighting, a California basement, and 2 car garage plus driveway spaces are just a few things that make this home complete. Generous size backyard is ideal for those who love to entertain, be outdoors, and garden. One of the best locations in Los Angeles, this home is a must see!" "BACK ON MARKET in View Park!! Master bathroom renovation completed.Welcome to this lovely Traditional 3 bedroom 2 bath Family Home. Living room has wood burning fireplace & gas line in fireplace, crown molding. Living room leads to formal Dining Room. Rooms are a comfortable size especially the Master bedroom. Master Suite has ladies walk in closet & a real man's closet. Property is close to the great hiking trails in Kenneth Hahn Park. Hardwood floors throughout with exception of tile/stone in bathrooms & kitchen. Family Room contains computer nook Built in wall cabinetry. Expo Metro-Line connecting Santa Monica to DTLA is just up the street. Excellent opportunity to own home in this sought after & coveted View Park. When construction wraps up on Metro's Crenshaw/LAX Line in 2019, the new light rail route will add a key corridor to, a long-sought rail connection to one of the busiest airports in the world LAX. 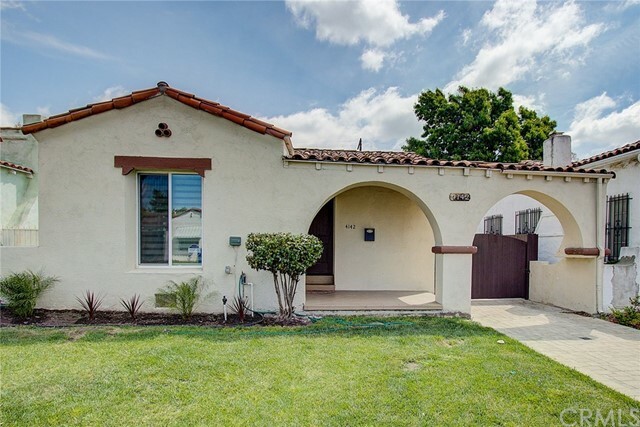 Information deemed reliable Buyer & Buyer's agent do due diligence"
"Here is your chance to get Creative with this Crenshaw Manor 3 Bedrooms Home adj Leimert Park & Baldwin Hills. Fixer with lots of potential to become a Wonderful Home. This home has Hardwood floors throughout, Fireplace in Living Room, spacious Kitchen and Bedrooms. Backyard with Pool for Entertaining including Built-In Barbeque Area & Detached newly updated Rumpus Room with Kitchen & Bath that may or may not be permitted. Close to Expo Line, Restaurants, Entertainment, Baldwin Hills Mall, Banking , & Kaiser Permanente Baldwin Hills Branch. PROBATE SALE - COURT CONFIRMATION REQUIRED! PROPERTY SOLD AS-IS WITH NO WARRANTIES IMPLIED OR EXPRESSED BY SELLER. 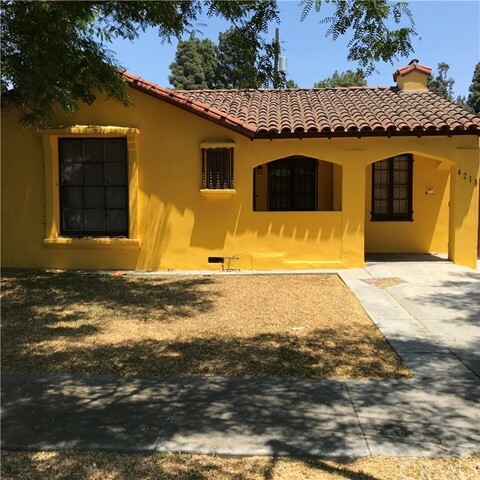 BUYER TO DO ALL THEIR INVESTIGATIONS TO THEIR OWN SATISFACTION"
"This Leimert Park gem is a Spanish style 3 bedroom 2 bath single family home, sitting on a beautiful tree lined street. It is within walking distance of schools, the new Metro Green Line, and shopping. This is a great property for first time home buyer or investor and is ripe for remodeling!" "Absolutely beautiful Spanish style charmer located in a very desirable location with tons of other Spanish Beauty's all around. Original hardwood floors in amazing condition, a pristine Batchelder fireplace mantle, Both bathrooms and Kitchen have been upgraded recently with newer tile, flooring, cabinetry and paint. Beautiful pavers in the tranquil backyard area and very low maintenance yard. Driveway also has an electronic gate entry door with remote access. There is nothing to do but bring your personal belongings. OFFER SUBMISSION DEADLINE IS FRIDAY 4/19 5PM!!!"